This may sound odd, but trees that have “witnessed” historic battles still stand today. They have lived through centuries and have survived the violence and destruction of wars and battles that we learn about today in our history books. Sadly, some of those trees that have been around since the Civil War are being cut down. The National Park Service has cut down three more witness trees at the south end of one field where the Battle of Gettysburg took place. These witness trees were supposed to be protected since they are considered historically relevant. 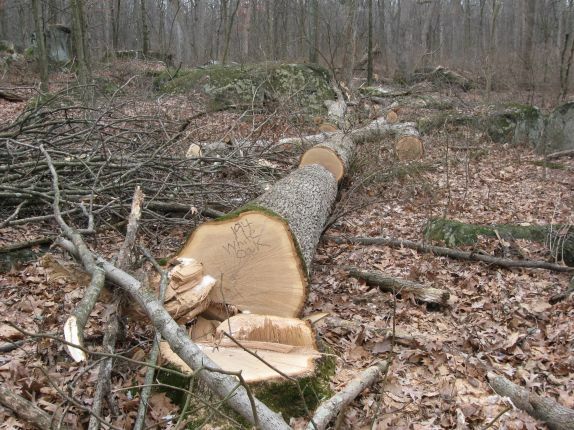 However, the workers seemed to not take proper care in their cutting and got sloppy, which resulted in the 166-to-229-year-old trees being felled. What’s worse is that those trees were clearly marked with “witness tree” on them. There is no excuse for the National Park Service workers to cut down those trees. 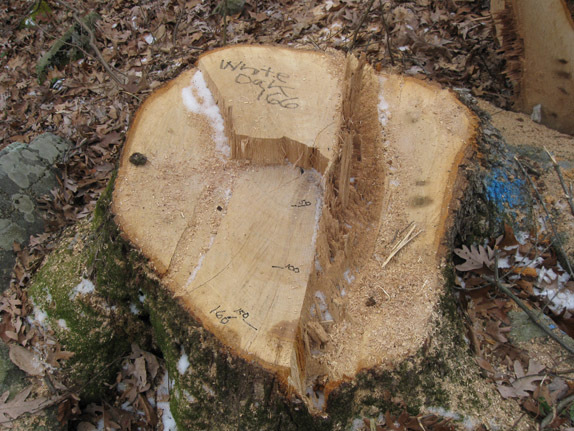 For one thing, they know about the trees being in that forest and all the trees slated to be saved are marked. 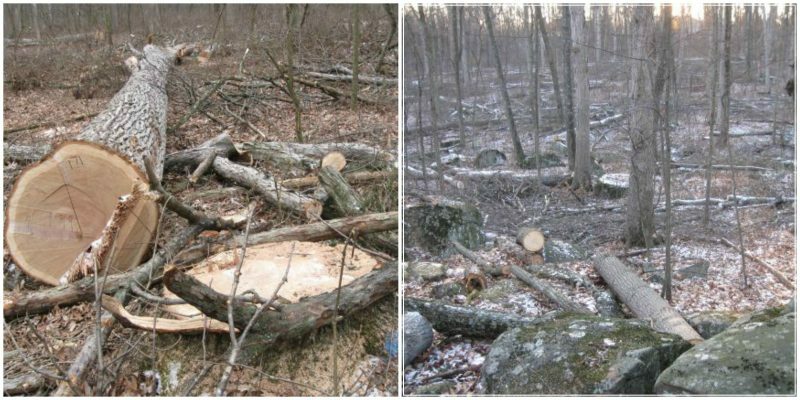 Activists who care about the battlefield rehabilitation have brought these fallen trees to the state’s attention, but they have not received a valid answer. The wooded area that stands there now is the same wooded area that stood there during the battle. However, year after year, the once thickly- wooded area is becoming more and more empty. The people working on the protection of the witness trees said that when the trees at Gettysburg National Military Park were struck by lightning, that received dozens of nationwide reports. Many people said at that time it was a shame the trees at the “last living link to America’s bloodiest battle” were nearly destroyed. Why are these trees any different? It was said that after those trees were struck by lightning, people would take notice and realize just how many trees should be considered protected witness trees. Now that they are aware of just how many trees there are, it stands to reason people should care even more. However, that is not the case, and those witness trees have continued to be ignored. One of the spokesmen for the protection group said that the state can’t have it both ways: wanting to protect the witness trees, but not doing anything about it. They should either be considered important and preserve them, or the Gettysburg witness trees shouldn’t be given the publicity in the first place. This protection group doesn’t call themselves tree-huggers, but they care enough about the trees to see that they are once again protected and taken seriously. While this group and others nationwide care about the witness trees, the issue isn’t seen as important. Why? Because those doing the cutting are supposed to be stewards of the land and its history; people assume they will be careful. But that isn’t necessarily the case; if they had the same passion as the protection group, then the trees might actually have a chance. 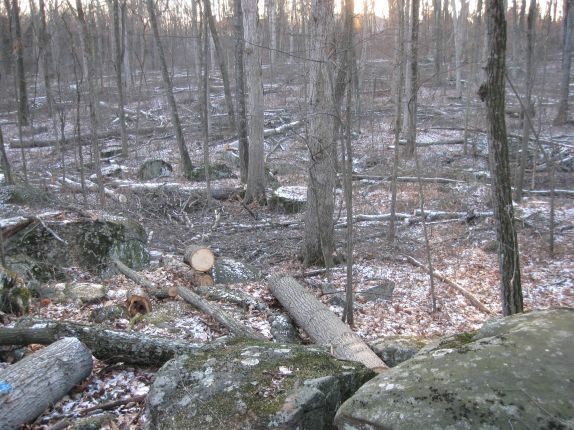 A photo taken by the protection group shows the stump site of a White Oak that was about 20 years old at the time of the battle of Gettysburg. The age of the tree when it was cut down was about 166 years old. It was cut down to try to thin out the battlefield area. 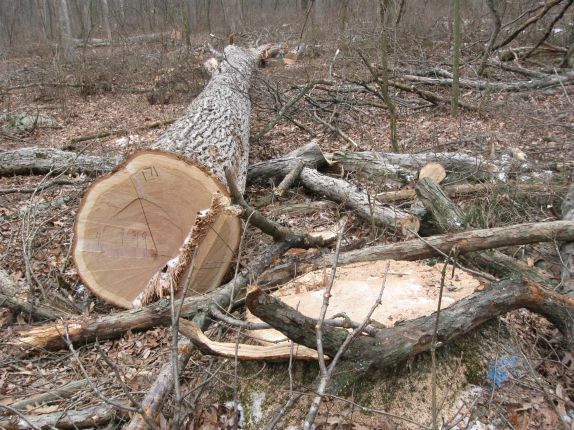 The protection group believes the trees should be kept where they are. The men who fought in the battle fought through the wooded area just the way it is now, not in a thinned-out wooded area. 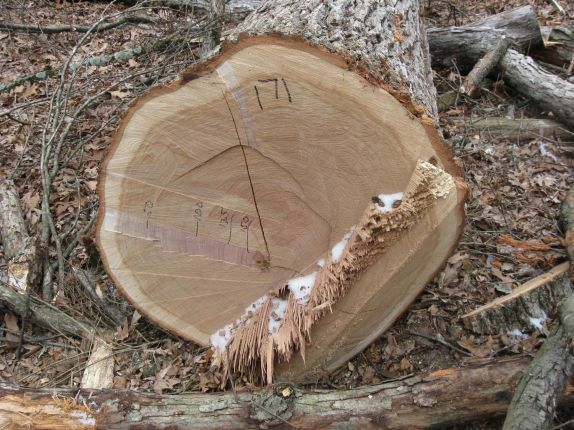 Another reason the larger witness trees are being cut down is so that the smaller trees they were covering can then grow and eventually be cut down, resulting in a repeat process. One tree that was cut down in the process was dated to around 1843. To put it into perspective, 1843 was when people made the trek on the Oregon Trail. Ulysses S. Grant graduated from West Point during that year and Charles Dickens’ A Christmas Carol was published. If someone had tried to destroy Dickens’ novel, there would be a major riot. So why aren’t people taking the witness trees as seriously as they would if Dickens’ novel was in danger?